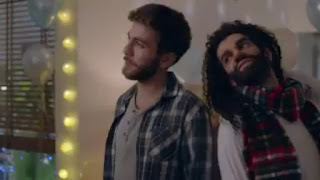 Tarek Chemaly: Panadol makes germs not only human, but also "effeminate"
Panadol makes germs not only human, but also "effeminate"
Now that's a new tone. Germs in advertising, are either portrayed in microscopic format (think Dettol), or in invisible ways yet we see their effect (think regular over-the-counter medicine ads), or alternatively illustration/animation (think Strepsils or Listerine). So humanizing the microbe is a new way in advertising, and making the microbe effeminate is even newer. I am not even sure why this has been the case - microbes are always portrayed as "males" when drawn/animated to capitalize on how they might hurt us. So I am a bit puzzled. In the same ad, Panadol is seen as a "bouncer" - incredibly tall, head shaved, with a fanny bag to top it all, oh - and very muscled. Panadol ran a very nice ad earlier for the same Cold+Flu sub-brand, so why change what works is beyond me. You can see the new ad here.